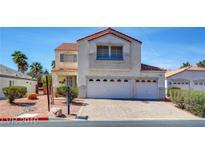 Below you can view all the homes for sale in the Stone Mountain subdivision located in Las Vegas Nevada. 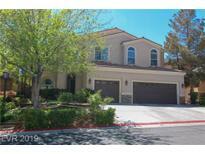 Listings in Stone Mountain are updated daily from data we receive from the Las Vegas multiple listing service. To learn more about any of these homes or to receive custom notifications when a new property is listed for sale in Stone Mountain, give us a call at 702-323-5963.
swimming pool, 3 car garage, your private putting and chipping green. MLS#2088722. Home Buyers Marketing II. Master suite-two sinks, garden tub, large shower, walk-in closet! Mountain views! MLS#2088288. Wynn Realty Group. BEAUTIFUL & MOVE-IN READY! Fast reply to all offers. MLS#2082737. eXp Realty. Full landscaping/covered patio, BBQ stub and fire pit area! MLS#2080546. Coldwell Banker Premier. Impressive Entrance, Sweeping Staircase & Soaring Ceilings Welcome~Coffered Ceiling in Formal Dining Room~Entertainers Delight Kitchen, Granite Counters & Island for Gathering~Flowing Great Room invites w/Fireplace & Wet Bar~French Doors Leading to your Outdoor Kitchen complete w/Sparkling Pool~Desirable Ensuite Bed/Bath Down~Master Suite Amenities Feel Like Your on Vacation~Jack & Jill Room~Delightful Surprise-Additional Ensuite Upstairs* MLS#2079942. Redfin. Don'T Wait To Make This Your Home! ! MLS#2078699. Turn Key Property Solutions. **5 BEDRS** 3.5 BATHS**Big BONUS ROOM** HUGE FORMAL DINING**LIVING ROOM (perfect for a Xmas tree, piano etc) ** GREAT ROOM** GOURMET KITCHEN with an ENORMOUS GRANITE island** $$ spend on MASTER BATH REMODELED (could be on a magazine cover) Built in REFRIGERATED WINE CELLAR w/IRON DOOR**HEATED POOL & SPA**ALUMA WOOD patio cover**BUILT IN BBQ AND ISLAND**BASKETBALL COURT***GREAT NEIGHBORHOOD** LOW HOA no SIDS . MLS#2076731. Pulse Realty Group LLC. Beautiful 5 bed/5 ba home in Northwest gated community*Full bed & bath down*Entry w/Grand staircase*formal living and dining*LG family room w/fireplace*Kitchen w/nook, granite counters, double ovens*all appliances*HUGE Master with bathroom w/sep shower & LG tub*GIANT walk-in closet*bedrooms all ensuite*Breakfast nook light fixture not included but will be replaced with fixture MLS#2062098. RE/MAX Advantage. In close proximity to schools, shopping & dining! ! MLS#2015387. Compass Realty & Management, L.